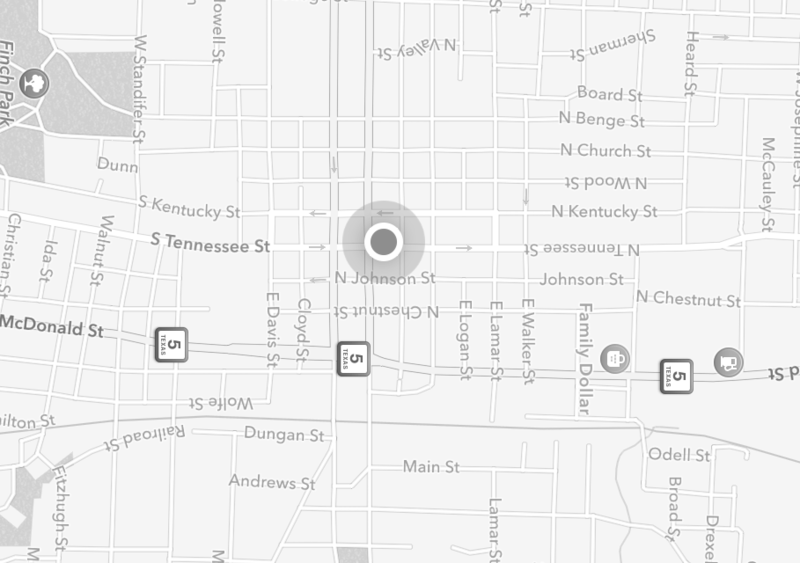 Munzee – Scavenger Hunt » Follow the path with updated Trail Munzee points and more! Follow the path with updated Trail Munzee points and more! Four years ago we released Trail Munzees (after a string of bizarre videos) and now we’re excited to announce a big point and proximity* update for Trail Munzees, Virtual Trail Munzees and Event Trail Munzees! You can find the point breakdown for each type below, as well as some new Trail themed physical products as well. The point updates and new products are all NOW available! Physical Trail Munzees will be worth many more points than when they were originally released! As you capture the various stops on the Trail Munzee the points you receive will increase as you progress. Stops one and two are worth 50 points for Capture and owner CapOn. Stops three and four are worth 100 points for Capture and owner CapOn. Stop five is worth 300 points for Capture for completing the trail, and 300 points for owner CapOn for creating a good trail. You will receive 50 points per deploy of a Trail Munzee, but your Trail will not become live until you deploy all five munzees to complete the trail. 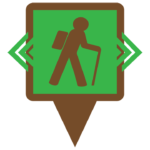 We have also reduced the distance required between each stop of the Trail Munzee. Each of the munzees must be deployed within a 5 mile radius of the starting point. Each munzee must be deployed at least 500 ft (previously 1,000 ft) from other Trail Munzees. Virtual Trail Munzees’ point system has also been updated from when they were originally released! As you cap the Virtual Trail the points you receive will increase as you progress. Event Virtual Trails will work similarly to regular Virtual Trails. 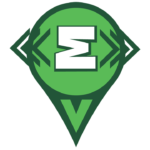 Since Event Trails are part of an event package there are no Deploy or CapOn points, but the Capture points have been updated to match the Virtual Trail Munzee. The Event Virtual Trail can only be added as a part of Munzee Event packages. For a breakdown of how Event Virtual Trails work check out the updated blog post HERE. *Please note that the ability to use the new proximity for the sandbox circles on the website map will go live tomorrow at some time. Thank you for your patience. To celebrate the point update of the Trail Munzees, we’ve got a slew of new trail-themed products and discounted certain products as well! The discounted products will remain on sale until Monday 1/21/2019 at 10:00 MHQ. This purchase is for one complete Trail, five total credits. Does not include physical Generic Munzees, only the credits delivered immediately to your account. This purchase is for five Virtual Trail credits AND five Virtual Munzees to convert. These weatherproof tree tags are perfect for hiding your trails in plain sight. 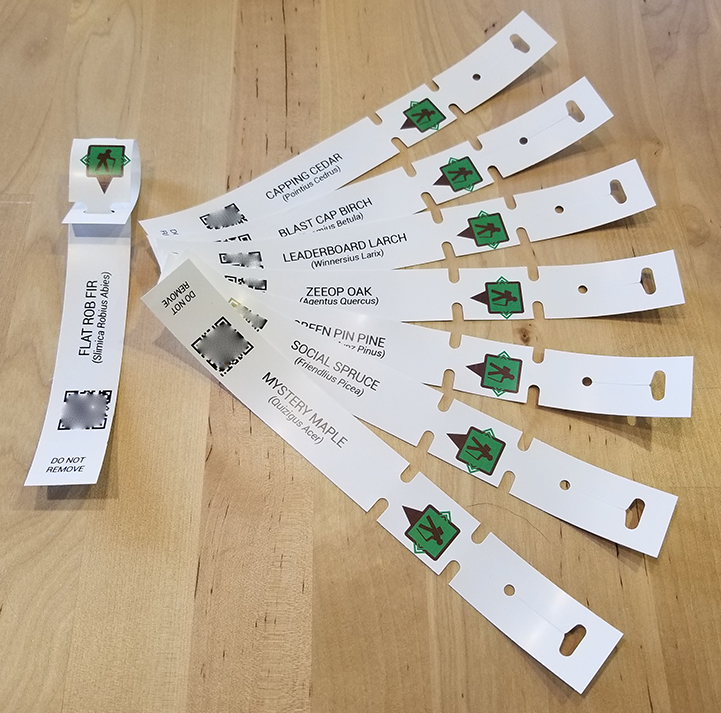 Each tag comes with a precoded Trail Munzee so you can easily deploy your trails as you go. 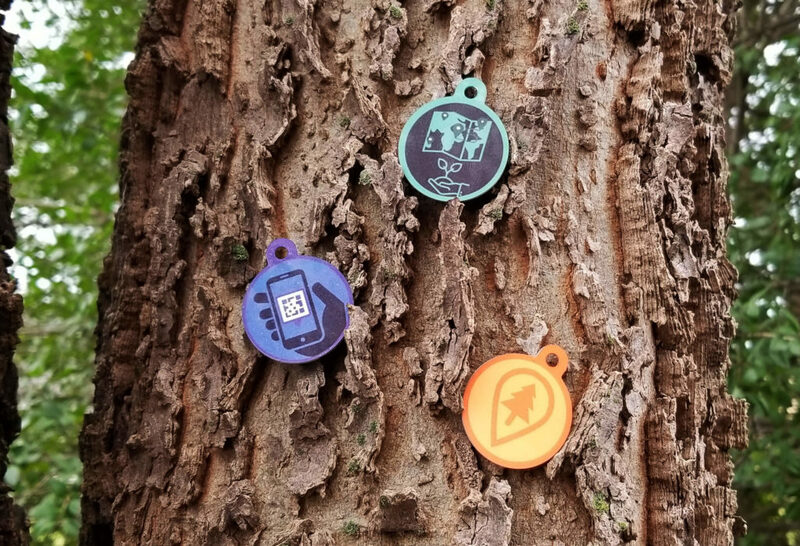 These tag designs feature different munzee-themed tree species. We hear the Green Pin Pine (Greenius Munz Pinus) is beautiful this time of year! Each set will come with five randomly chosen tag designs for $6.25. This is a physical product and will include shipping. These metal dog tags are ideal for hiding your trails long term. Each tag comes with a precoded Trail Munzee so you can easily deploy your trails as you go. The metal tags feature a different number on the front and the QR Code on the back, so players will know for sure they’re going in order. 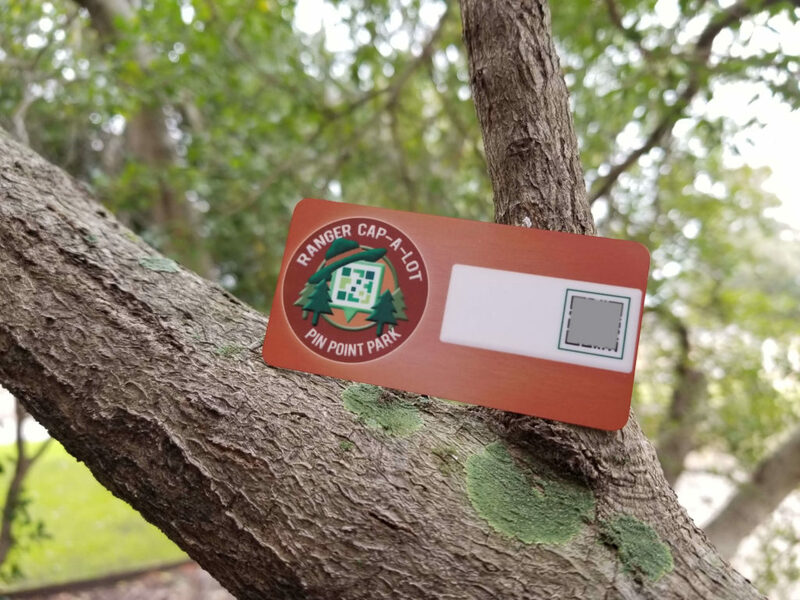 Be sure to bring a fastening device when you’re deploying these tags to trees, fences, and more! Each set comes with five individual tags for $12.50. This is a physical product and will include shipping. Ready to earn your stripes, Scout? These merit badge themed personals come on a circular dog tag measuring 1.5″ x 1.25″. A must for any scout looking to blaze a trail! Complete your collection with all three designs! Only you can protect the beauty of Mother Nature’s parks and forests! This Ranger Cap-A-Lot name badge will show everybody you meet on the trail that you’re an authority on all things Munzee! This limited release name badge is 3″ x 1.5″ and made of aluminum with a magnetic back and features a Personal Munzee. As always thank you all for your support and good luck Trail blazers! 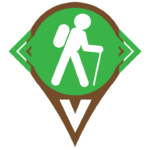 Anyone interested in seeing new trail badges soon? 😉 Munzee on! This entry was posted in ANNOUNCEMENTS, EVENTS, GAMEPLAY, NEWS, PLAYERS, STORE, UPDATES and tagged 21st century scavenger hunt, android, app, Camo, capture, deploy, EVENTS, family fun, fitness, forest, friends, fun, geocaching, GPS, health, hide and seek, international, munzee, mystery, outdoor, park, player, player of the week, point update, points, POTW, QR, QR code, rural, scavenger, scavenger hunt, special, team building, technology, trail, travel, tree tag, tree trail munzee, virtual on January 16, 2019 by Team Munzee. 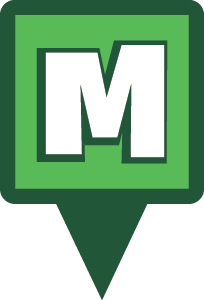 Turn back time with the Evolution Munzee Reset credit!